By now, it’s no secret that making chocolate can be a dirty business in, like, the human-rights-violations sense. For years, advocates have complained that Nestlé, Mars, and Hershey do precious little to ensure their candy isn’t produced via child slavery, which remains a disturbingly common practice in Africa. Consumers have filed lawsuits against the companies (plus others, like Chiquita and Coca-Cola, accused of turning a blind eye to child workers on fruit and sugar-cane farms, respectively), but none of them have ever faced trials. Now there’s a possibility that could change if a federal judge recognizes the standing of six men now in their 20s and 30s who used to be enslaved on cocoa farms in Ivory Coast. Their case has actually been winding its way through the justice system for 12 years, but won a surprise victory last January when the Supreme Court refused to dismiss it. The six men, all abducted from Mali, say they worked 14-hour days under armed guard without pay, slept on the floor, and for punishment were forced to drink urine or had salt and pepper poured on open wounds; their suit accuses Nestlé of deciding “to take advantage of cheap labor” by buying cocoa from their plantations knowing full well the abuses it entailed. For their case to move forward, the Supreme Court now says the allegations of slavery must “touch and concern” America in some way (otherwise, as a pure legal matter, it belongs in another country’s judicial system). Bloomberg writes that a ruling in the plaintiffs’ favor would “reverse years of precedents won by” global companies like Nestlé and Coke, and “open the door to a flood of new cases,” as one of the attorneys who lost in the lower courts puts it. 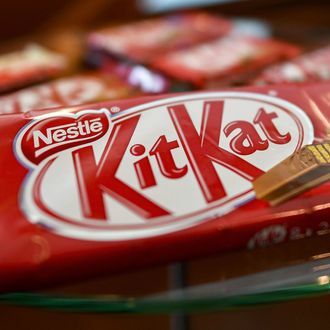 Nestlé’s attorneys counter that the threshold set by the Supreme Court, derived from a 228-year-old law called the Alien Tort Statute, isn’t met because the company had no role in the Ivory Coast farms’ day-to-day operations. Just because Nestlé is actively trying to rid its supply chain of child labor, their argument goes, doesn’t make the company guilty of perpetrating it. The federal judge is supposed to issue his ruling Friday.